Village Location, Communal Heated Pool, WiFi available. Holiday House in Polis, Paphos, Cyprus - Within Easy Reach of Beach. My Wife and I live in West Yorkshire with our pet cat Pippy. We have two children who are both married and we have three adorable grand children. We both work full time and spend any time we can get away in Cyprus, where we have many friends both English & Cypriat. The property is surrounded by beautiful countryside and there are many walks to be had within easy reach both simple, and for those more adventurous there are many mapped circular walks. The beach is a 20 minute stroll away but can be reached by car in 5 minutes, where there is a beach bar and all the facilities that is required to have a day in the sun! Family bathroom with bath and shower, wc, basin, towel rail and display unit, fully tiled. Downstairs guest toilet and basin with storage for ironing board etc. Also fully tiled. Lounge/dinner with 2 and 3 seater leather sofas, glass coffee table, patio doors with fly screen leading to front patio over looking olive groves. F/STelevision, DVD player, CD music system. Dinning area with glass table and 6 chairs + glass display unit. Modern fully fitted kitchen with electric oven and ceramic hob + extractor, microwave, washing m/c, full size fridge freezer, coffee m/c, toaster, kettle, juicer etc. Sking is available in the Troodos mountains which is approx one hour drive. There are 2 golf courses in the area approx half an hour journey by car. Notes on accommodation: Portable gas heater supplied for downstairs, air-conditioning units can provide heat in the bed rooms if required during winter months. Outside: Communal garden to entrance of complex. Gated parking to front of property where there is room for sun loungers etc. Patio furniture/ Gas barbecue supplied, to the rear of the property there is a small secluded patio with furniture and plants, and drying facilities for washing. The complex has a communal heated swimming pool and is surrounded by olive, orange, grapefruit and almond groves. Cleaning / Towels / Linen / Maid service: Towels and linen provided, pre-arrival clean & departure clean included in rental charge. Cleaning service available on request. Fantastic like being in someone's home rather than holiday accommodation beautiful !!!! Comfortable stay and clean house.. 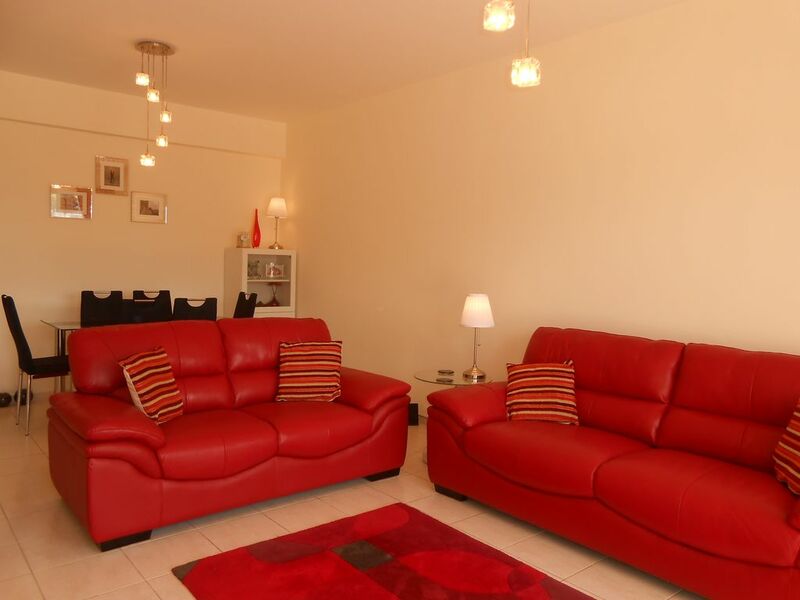 This property is a well furnished and equipped holiday home. Situated in a quiet area. It has a well maintained communal pool area that doesn't get overcrowded. The neighbours are from a wide range of nationalities and are friendly and helpful. I would recommend this property to anyone who likes walking and anyone who has a car to travel to all the sights. The walk to the beach took us around 30 minutes, walking slowly in temperatures of around 37 degrees. There were many water sports facilities available in nearby Latchi for adventure seekers. So glad that you enjoyed our property, polis is such a great all round village, we love it! Polis beach is 20 mins walk, or 5 mins drive. It is a sandy beach with beach bar facilities. Latchi harbour is approx 40 mins walk from Polis beach on a wooden beach front walkway, and has many restaurants, boat hire etc. Polis beach and Latchi beach/marina are only 5 minutes drive away and is now connected by a new coastal walkway and cycle way. Bikes can be hired locally as required. The nearest airport is Paphos which is approx 40 mins drive, car hire is recommended but not essential. Transport from the airport can be arranged by owners at approx 45 euros each way. Village square is approx 10 mins walk. Latchi harbour is approx 40mins walk. Polis village has many restaurants and bars to cater for all tastes. There is a large modern supermarket where anything one requires can be obtained, if however you would prefer to use the local butchers, bakers etc, there are many to be found. Banks, petrol stations, etc are all located in the village. Leisure activities such as diving, fishing, golf, horse riding, surfing, tennis, walking, water skiing and wind surfing are just some of the activities which can be booked locally in the village. There is also a go-carting track nearby. Booking Notes: Should you be interested, please call us at home or send an email, we will be happy to discuss further. Bookings confirmed with deposit by cheque (to be agreed by both), a £100 bond cheque to be sent as well which will be returned after holiday to ensure no major accidents or thefts at the property! (excluding small accidents of course i.e. broken crockery or spoilt linen). Changeover Day: Flexible. Notes on prices: Prices are for the property per week in UK Pounds. Air-conditioning/heating extra to be paid locally if required. Special offers available for bookings placed now for the rest of the year.